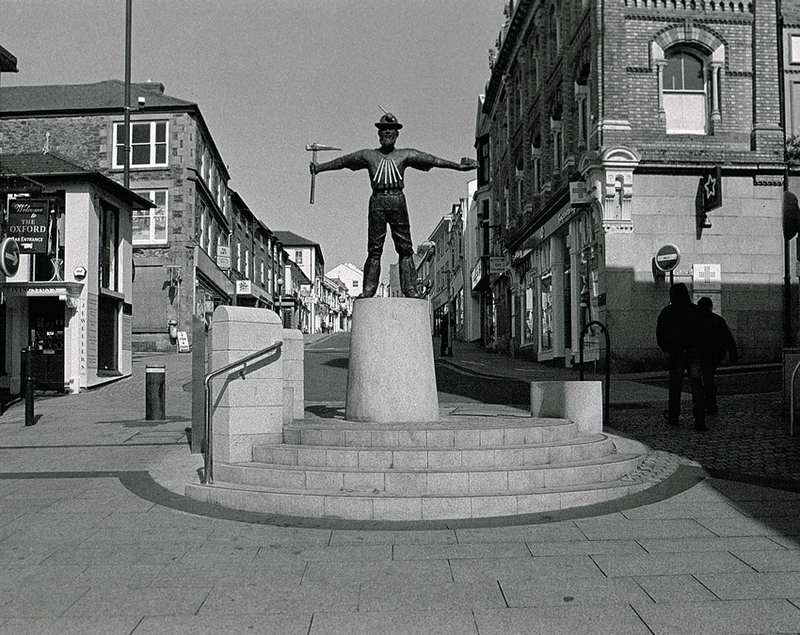 Redruth was once the mining capital of the world. 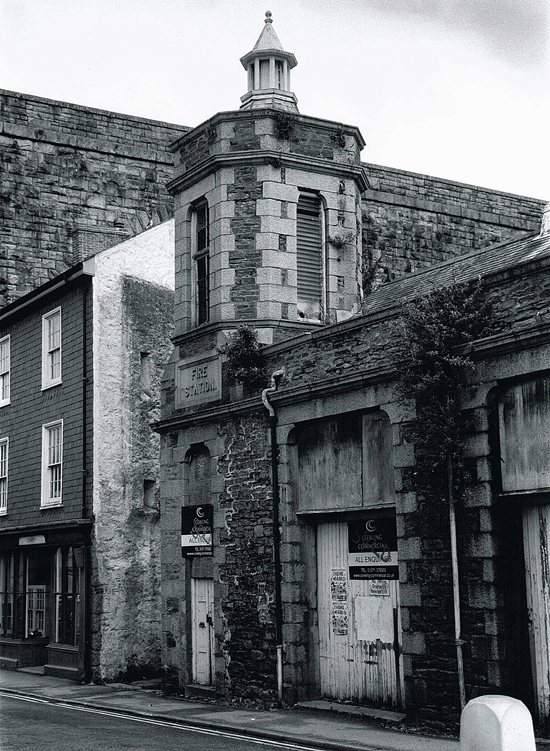 Surrounded by mines it became the centre of commerce for the Cornish Mining Industry. The once great buildings are still there, all you have to do is walk around and look above street level. The views are spectacular and the architecture is amazing. Good Friday 2012, I spent a great day in the sun wandering around with the cameras around my neck. 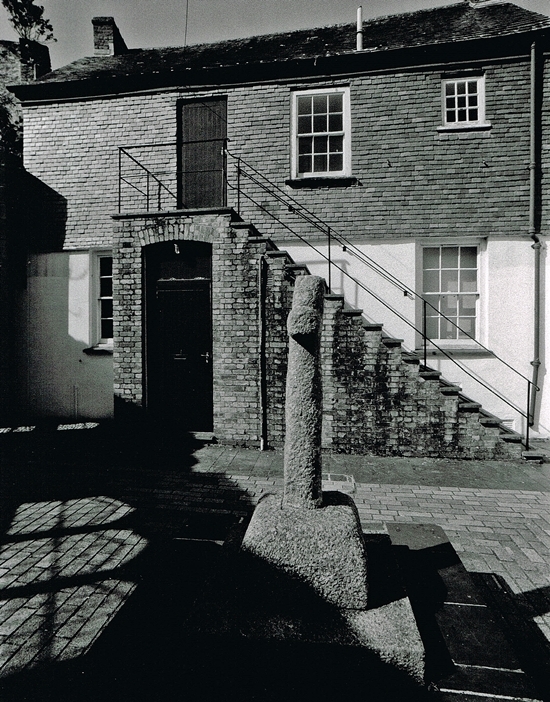 On this page I have tried to capture the marvels that remain today from the old Fire Station to the Miners Statue at the head of Fore Street. Photography is difficult due to traffic and roads but some of the images are worthy of note. 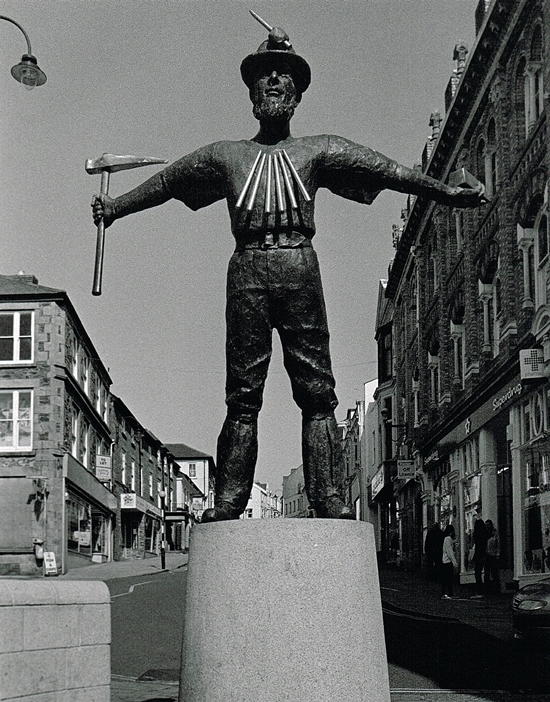 Erected in 2008 this 2m high bronze statue of a Cornish Miner was created by artist David Annand. Holding a pick and with a string of tallow candles around his neck this is a striking piece of art. 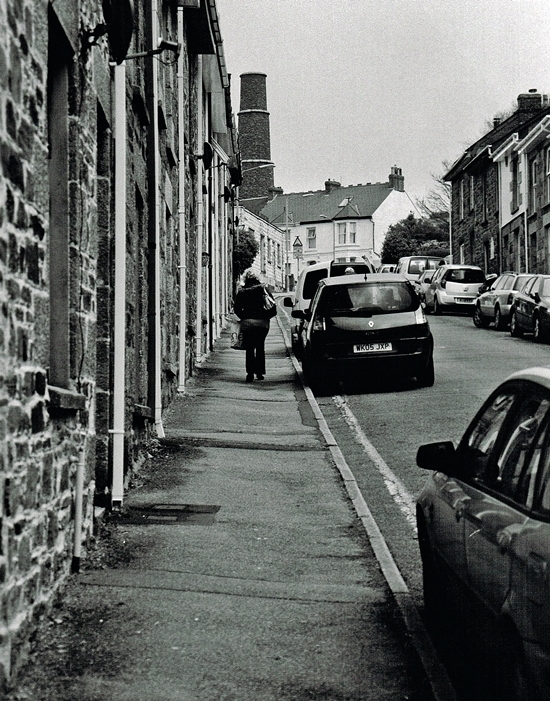 Standing at the top of Fore St, Redruth. A wider view of the statue, observe the fine brickwork in the building on the right of the image. A humble Shoe Zone store, the frontage and architecture are quite stunning. 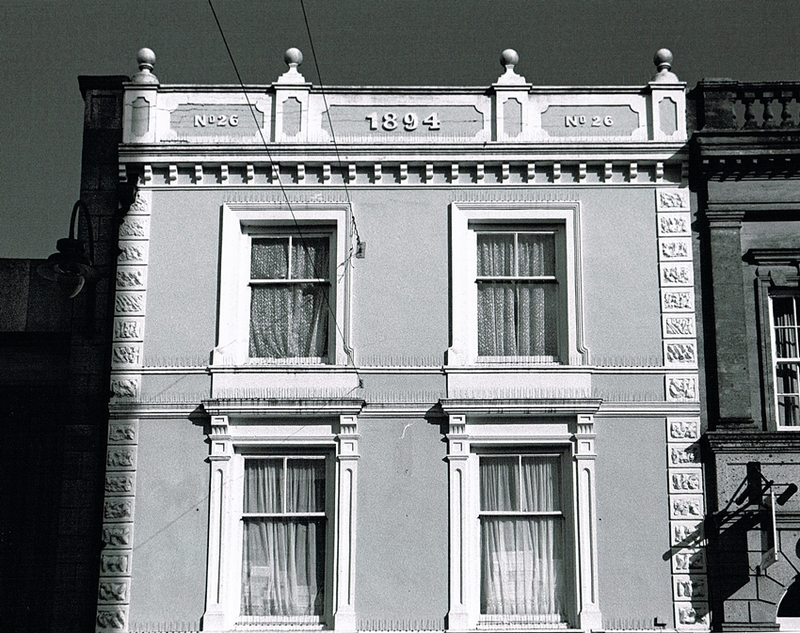 A more detailed image of the buildings frontage, No 26 Fore Street, circ 1894. 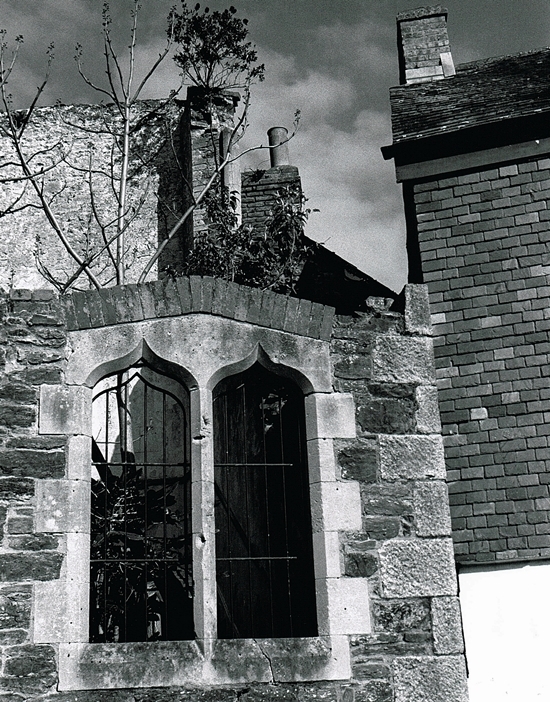 Lower Fore Street boasts a copper clad tower and stunning stonework, this is a town where it pays to look up and soak in the history. 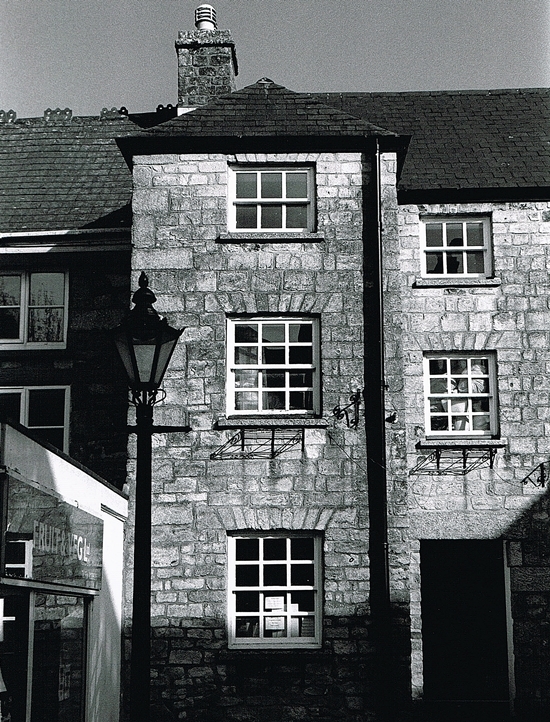 Near the centre of Redruth, this old coaching inn once The King’s Arms, now houses a Building Society. 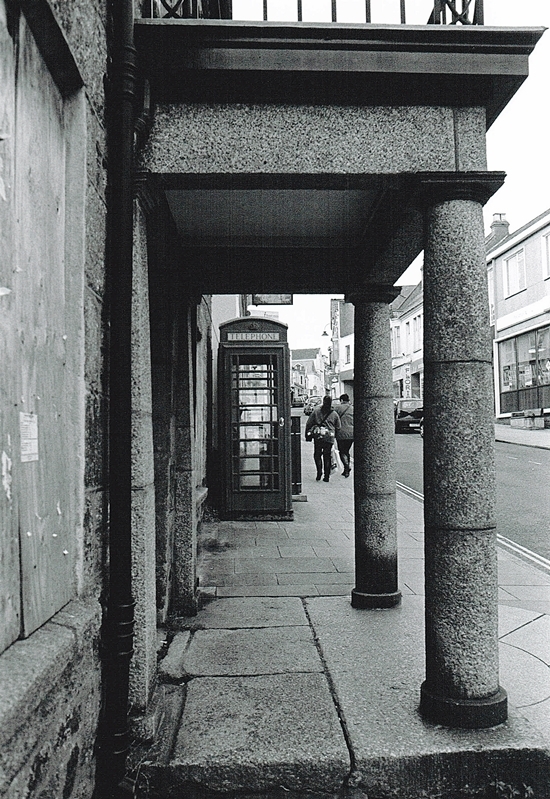 The impressive granite columns at the entrance to the boarded up London Inn. 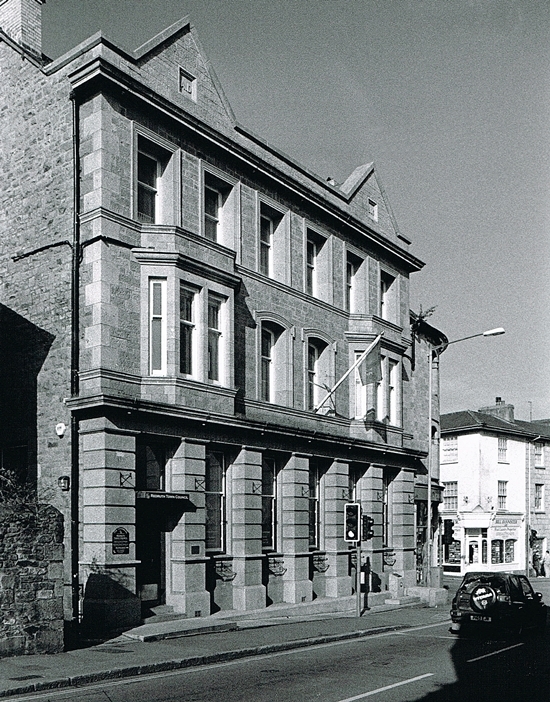 The front of the London Inn, the building looks very impressive, in Redruth’s heyday of mining many owners and adventurers would have stayed here. Good patterns and a dramatic sky, looking up in Redruth. 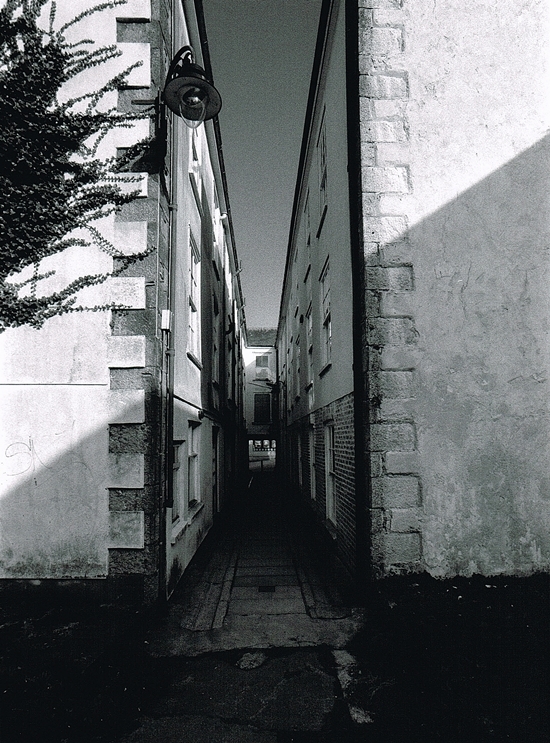 A narrow alley looking towards Fore Street, makes an interesting image. 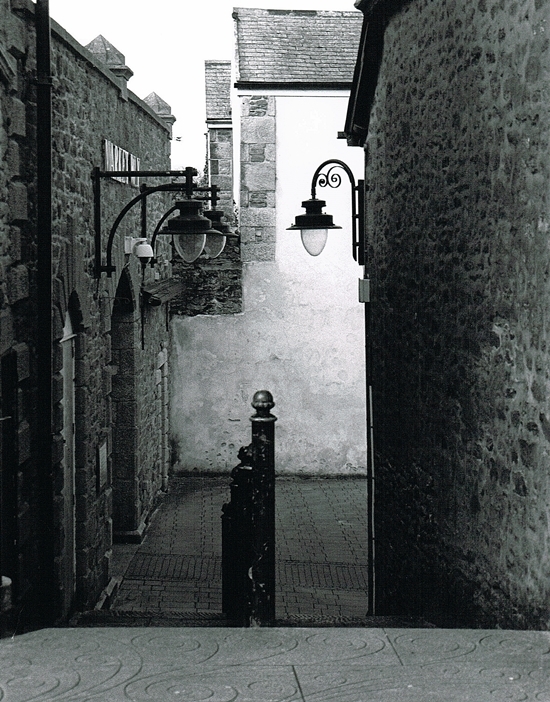 The alleyway leading to Market Way Redruth, the old fashioned lamps and the gloom add to the atmosphere of the place. 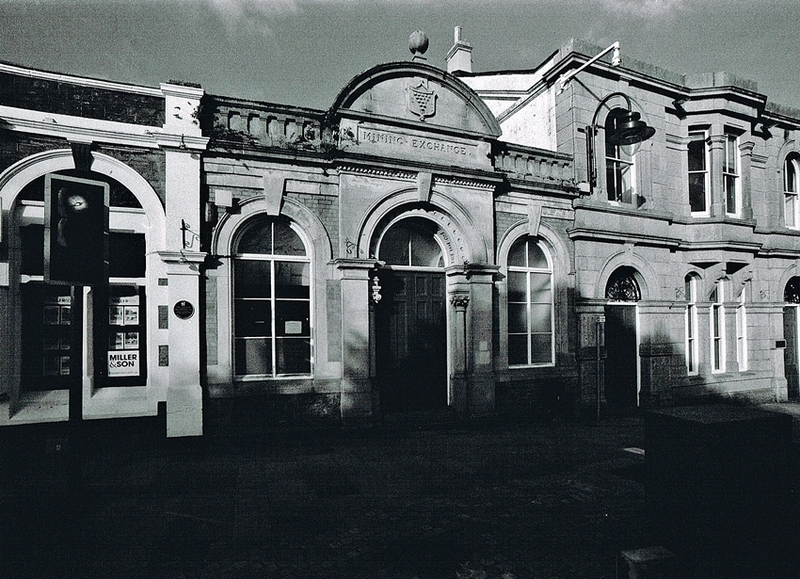 The Redruth Mining Exchange building dates from 1880, the building to the right was the old Post Office and the Bain and Field’s Bank. 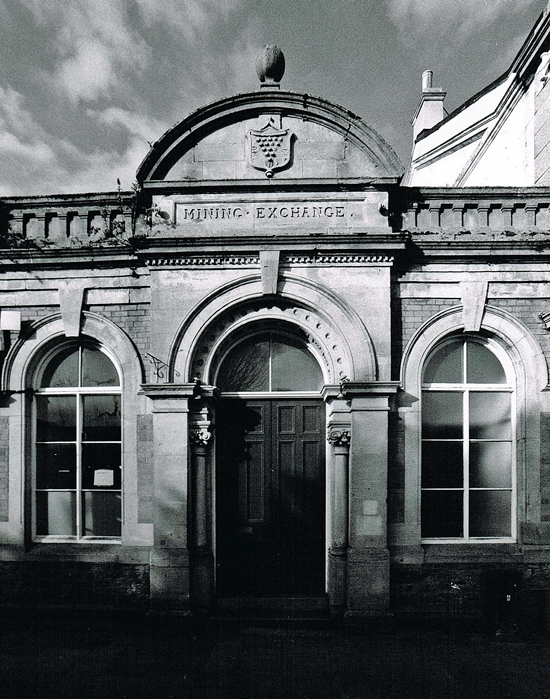 The Mining exchange and its neighbours. On the left are the old offices of Wheal Peevor Mine. 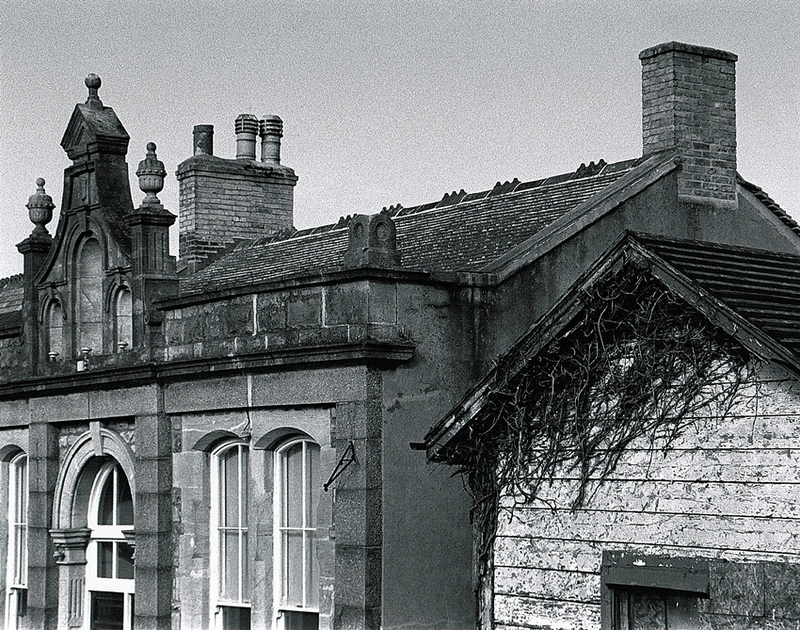 The Cornish Coat of Arms “One and All” can be seen on the central curved roof. 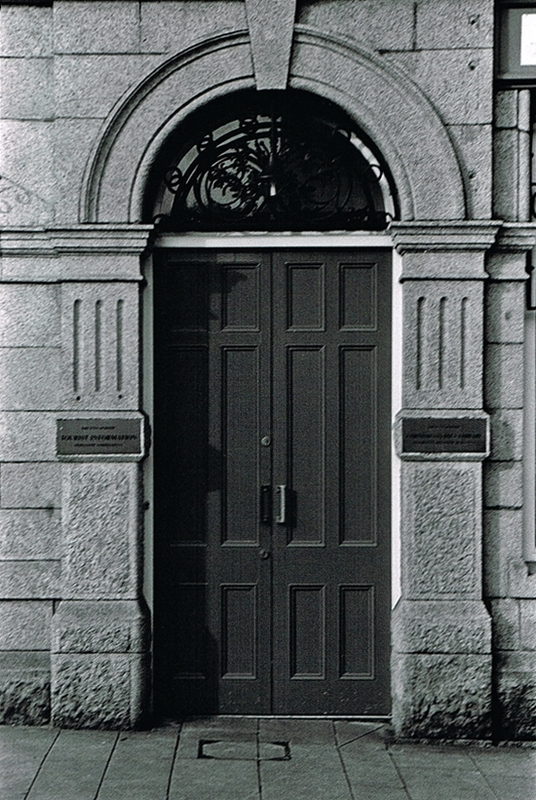 A very ornate fine doorway next to the Redruth Mining Exchange. 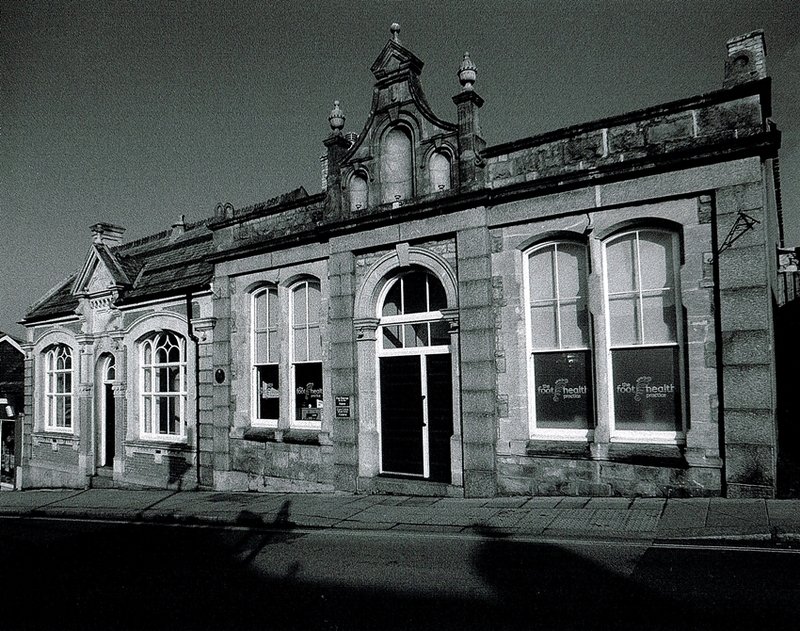 Opposite the station in Redruth are these ornate buildings, the one on the left is dated 1891, mining stocks and shares would have been traded here. 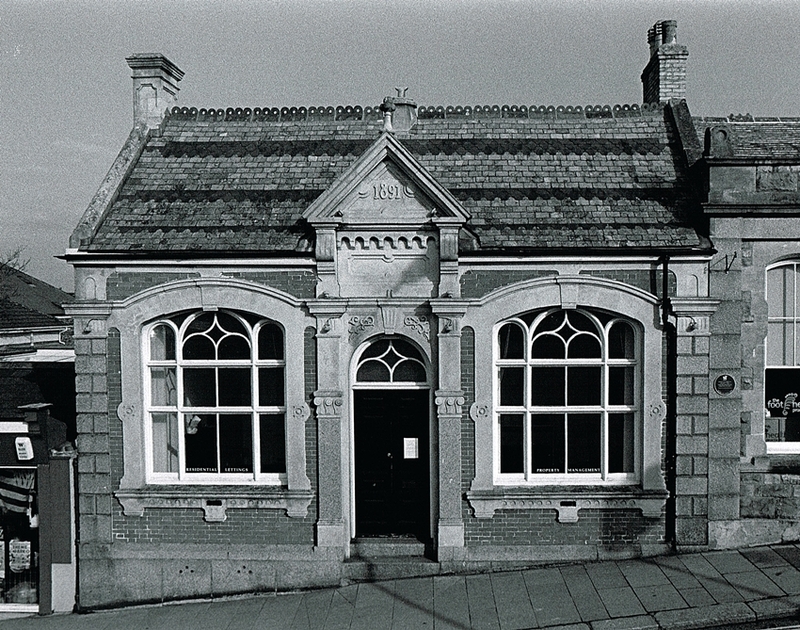 A great frontal image of one of the offices. 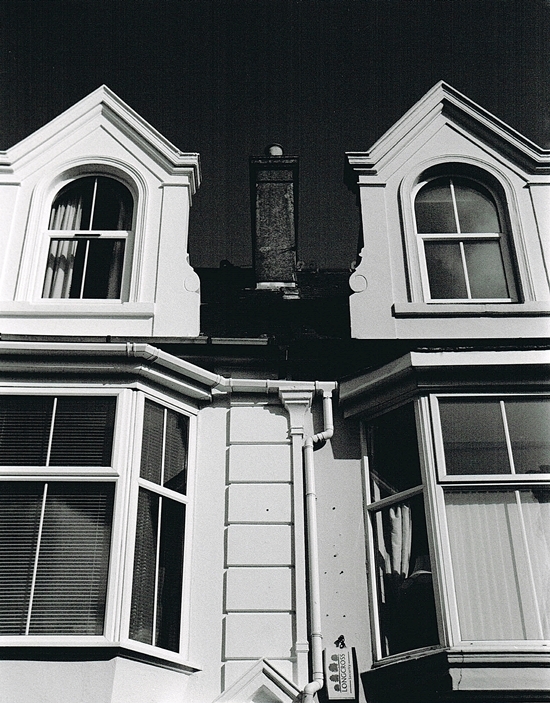 The same buildings from a slightly different angle. 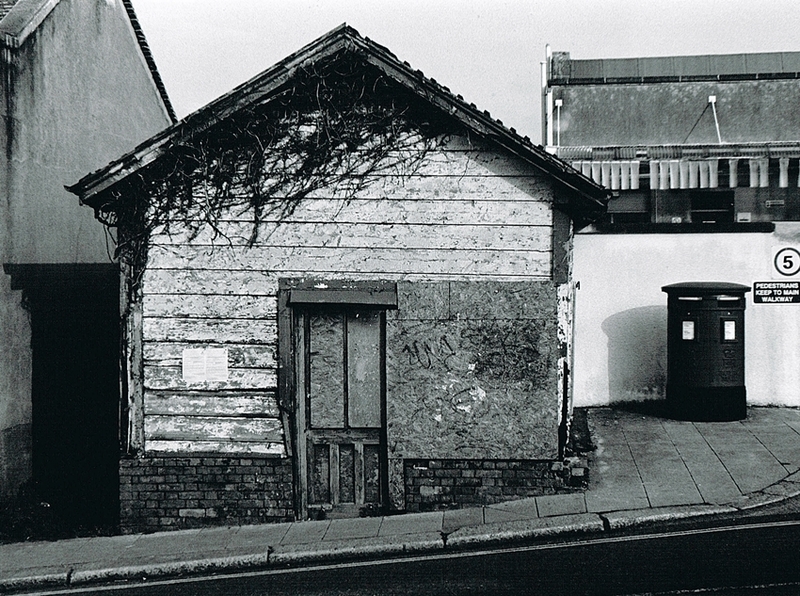 The building on the left was the registered offices of various Malaysian mining companies, it closed in the mid 1970’s. 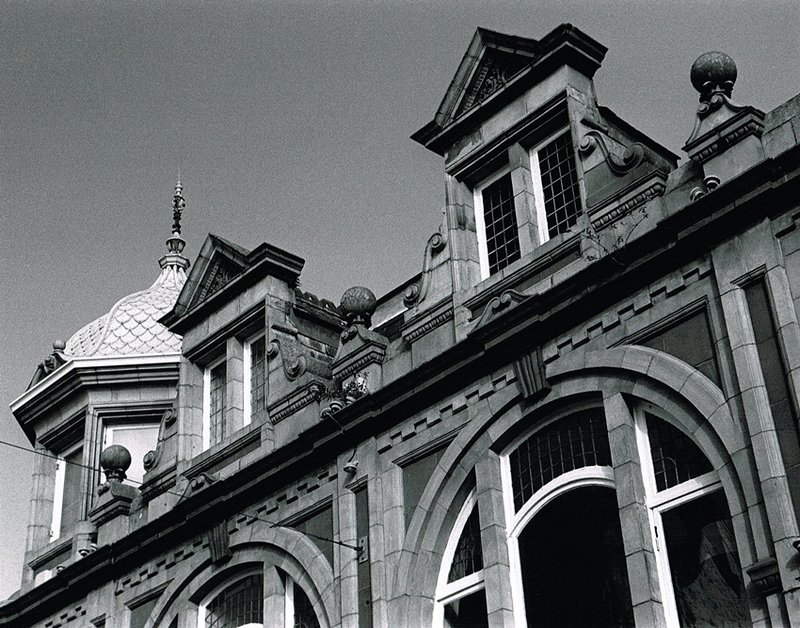 The roof line of the old offices is spectacular, great shapes and patterns for Black and White. 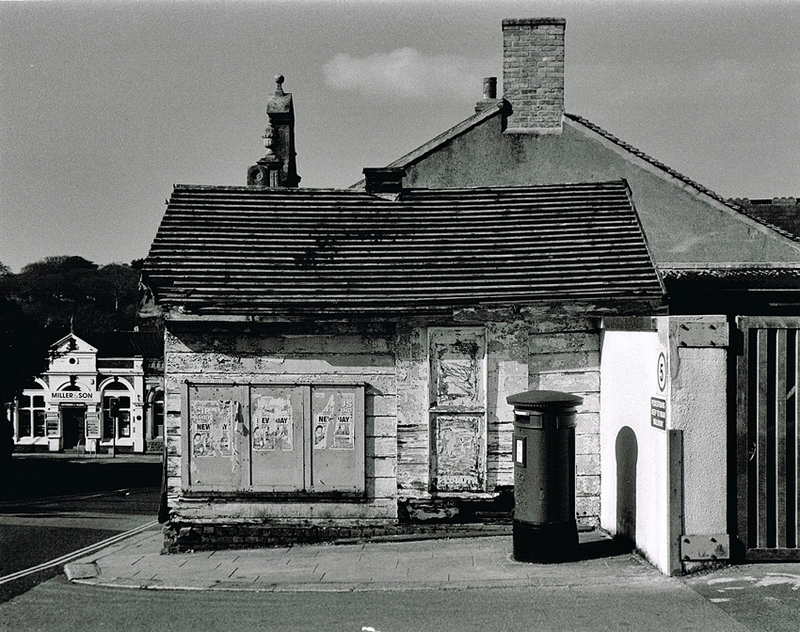 This small building caught my eye, it made an interesting subject. The building from the other side, down the hill are the old Peevor Mine Offices. 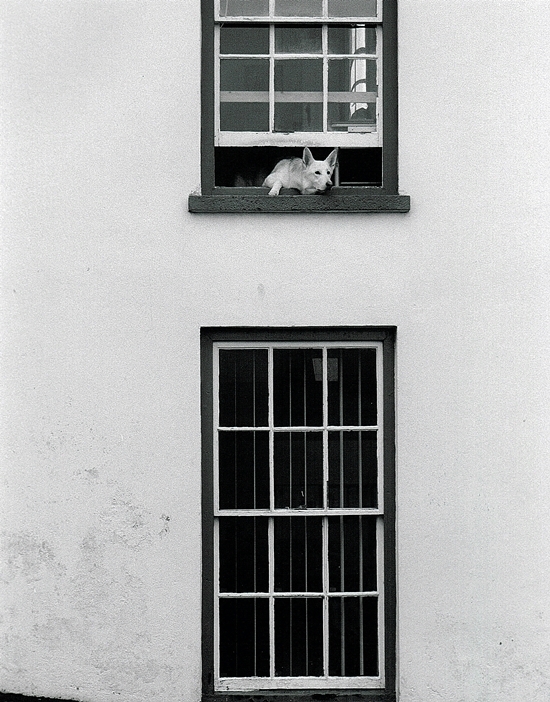 Caught by chance in Redruth, this dog looks very comfortable hanging out of the window. 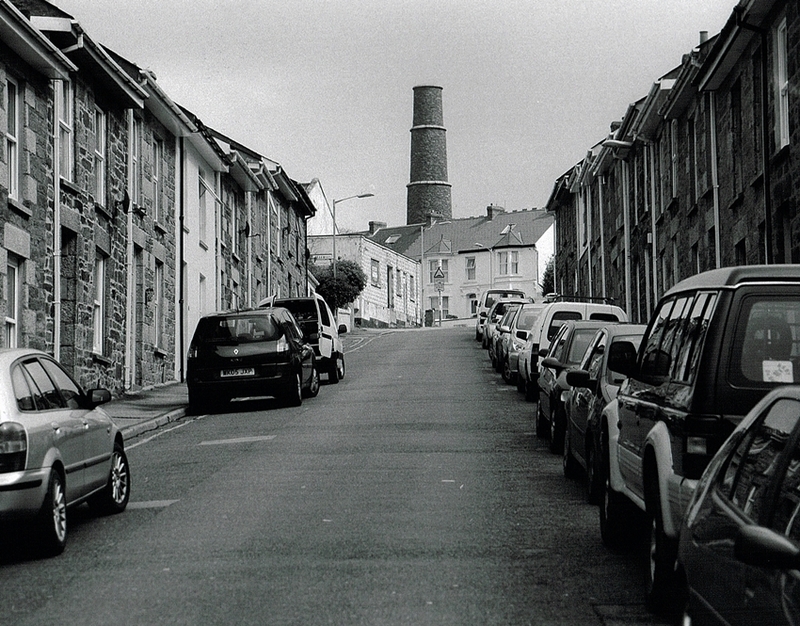 One of the side streets in Redruth, the old two up two down cottages are typical of miners dwellings, in the background rising proudly is the stack of Penandrea Mine which dominates the townscape. 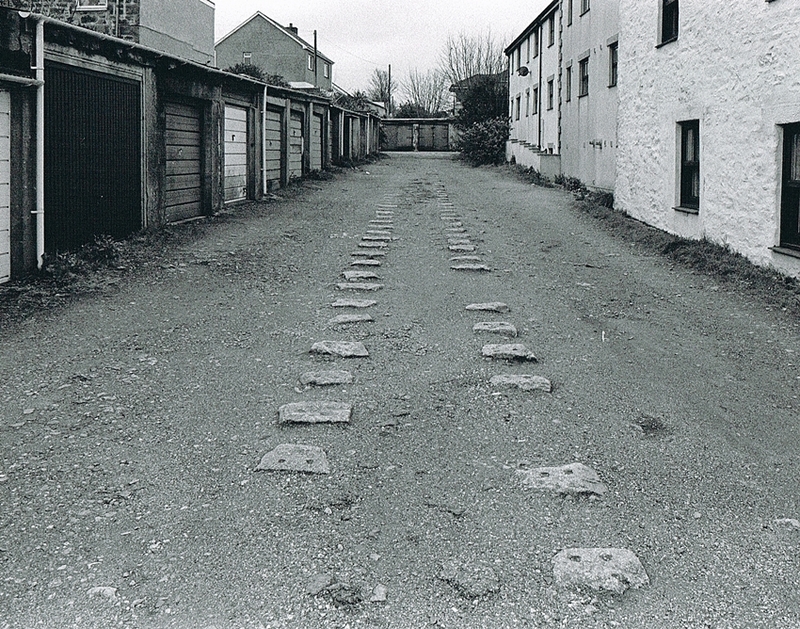 A second image of the same street looking towards the chimney. 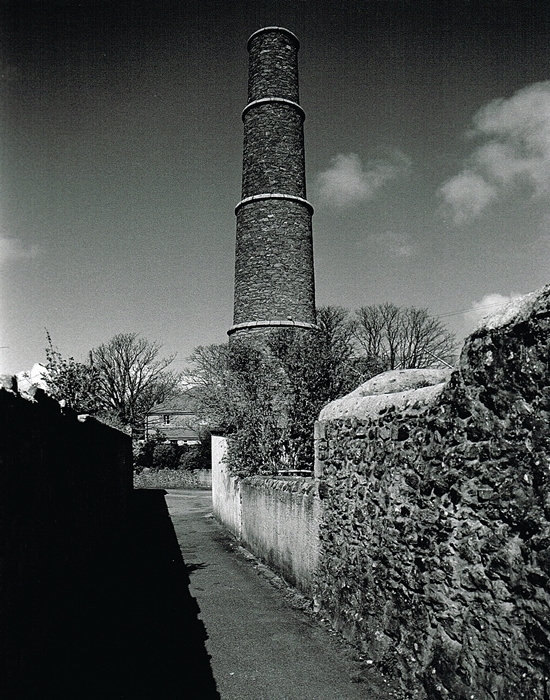 Built in 1824, this is the stack of Penandrea Mine which stands proudly above Redruth. Up on the hill behind Penandrea Mine I found the remains of an old tramway, the granite setts can be seen clearly. 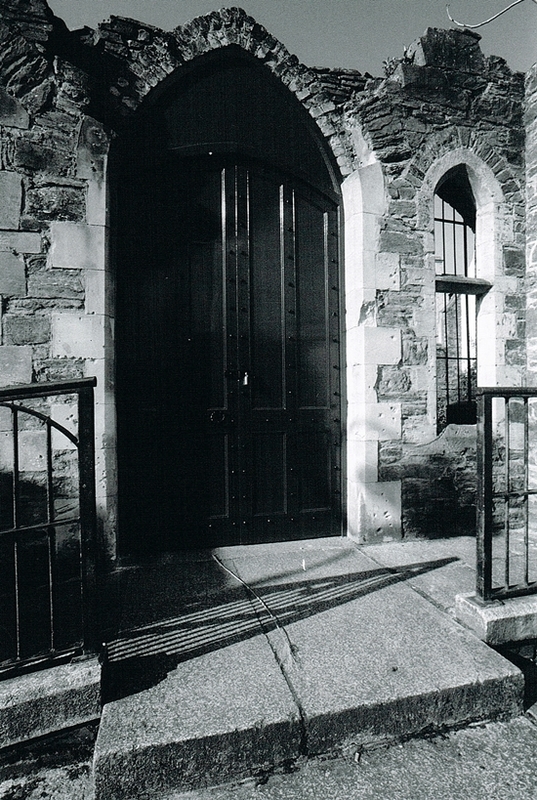 The entrance to the Druid’s Hall, built in 1859 it housed a library and large a assembly room upstairs. It was sadly destroyed by fire in the 1980’s. 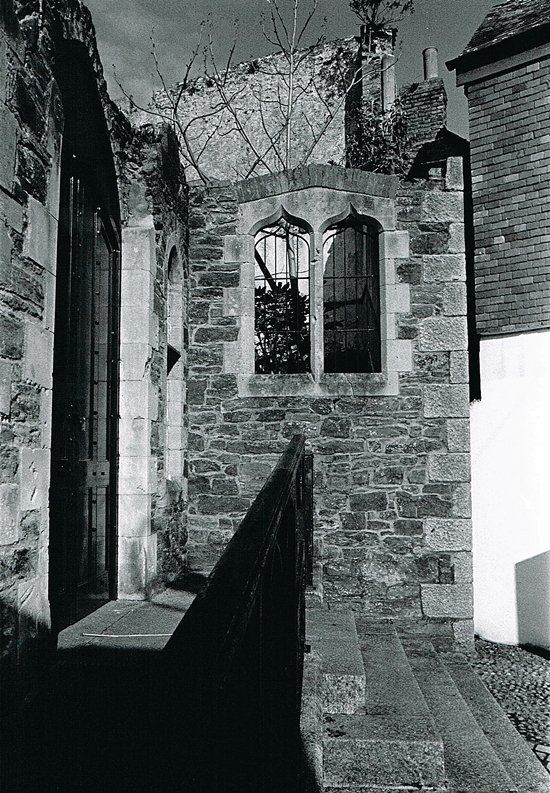 An entrance at the rear to the Druid’s Hall, inside is St Rumon’s Garden. Possibly the best print I have done for a while, one of the surviving Druid’s Hall twin windows, the buildings in the background add an interesting perspective. 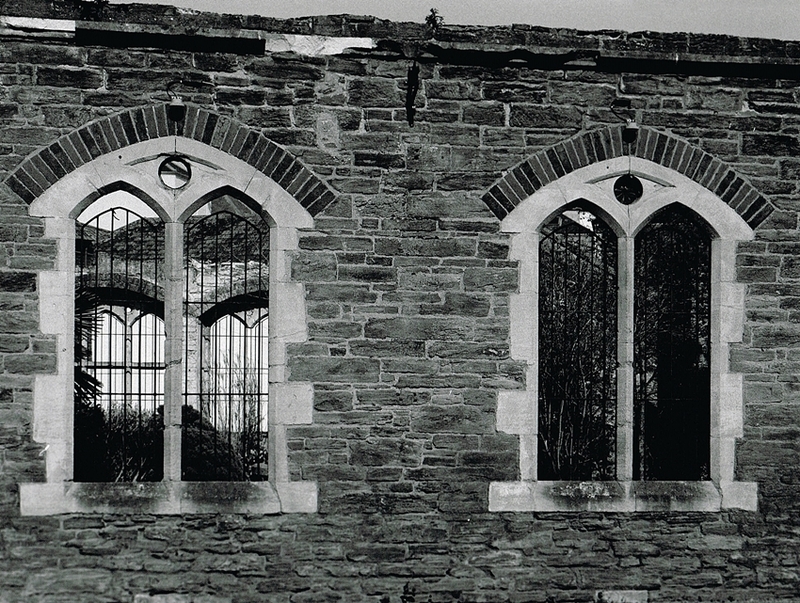 The same window further back, I love this photograph. 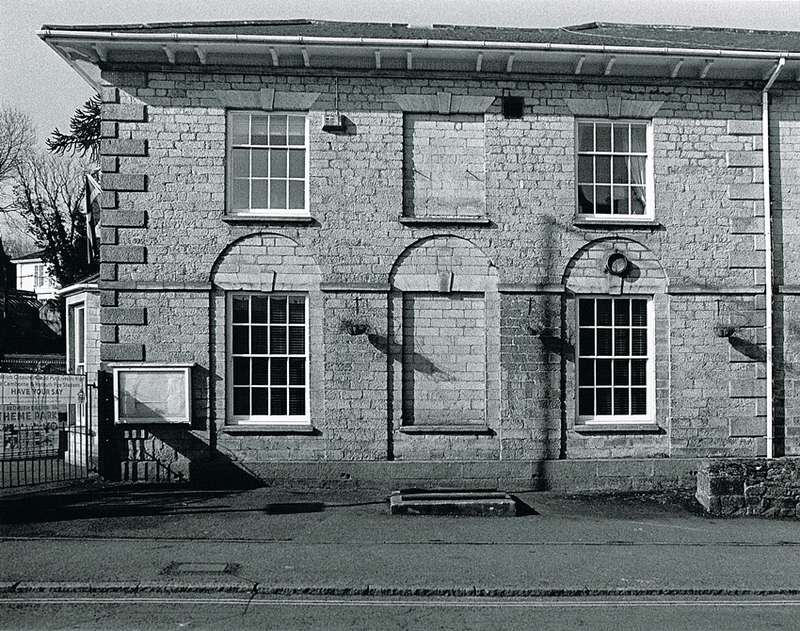 An image of the house that belonged to William Murdoch, he worked with the engineers Boulton and Watt in 1779. 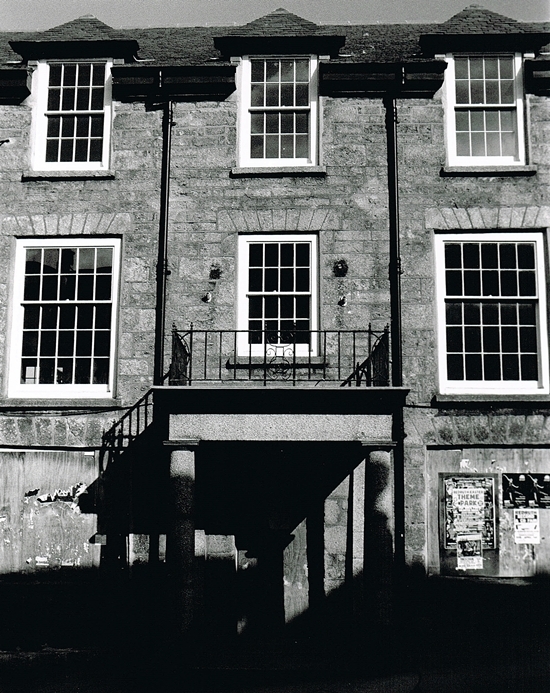 The house is notable for being the first building in the world to be lit by gas lighting in 1792. In the foreground is the 14th Century St Rumon’s Cross. 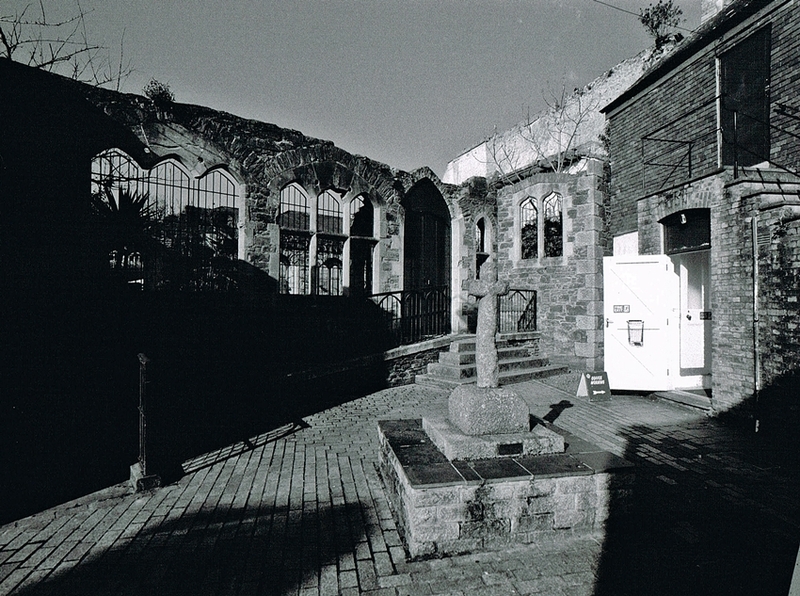 The whole of the courtyard with the cross in the foreground. 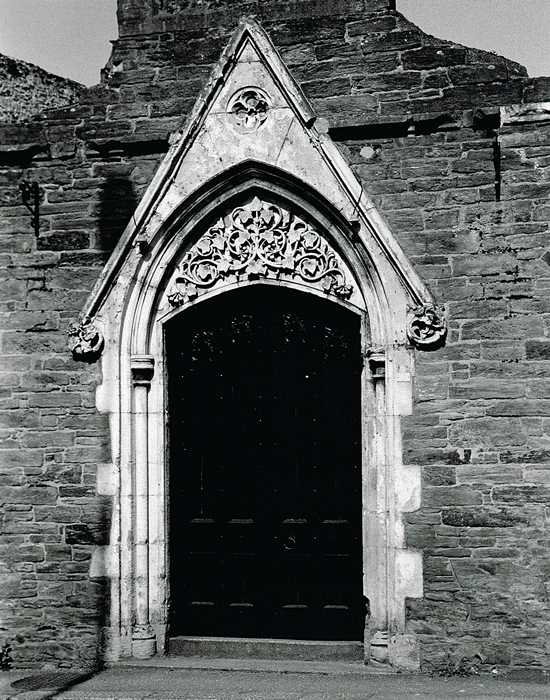 More ornate in the surviving front wall of the Druid’s Hall. 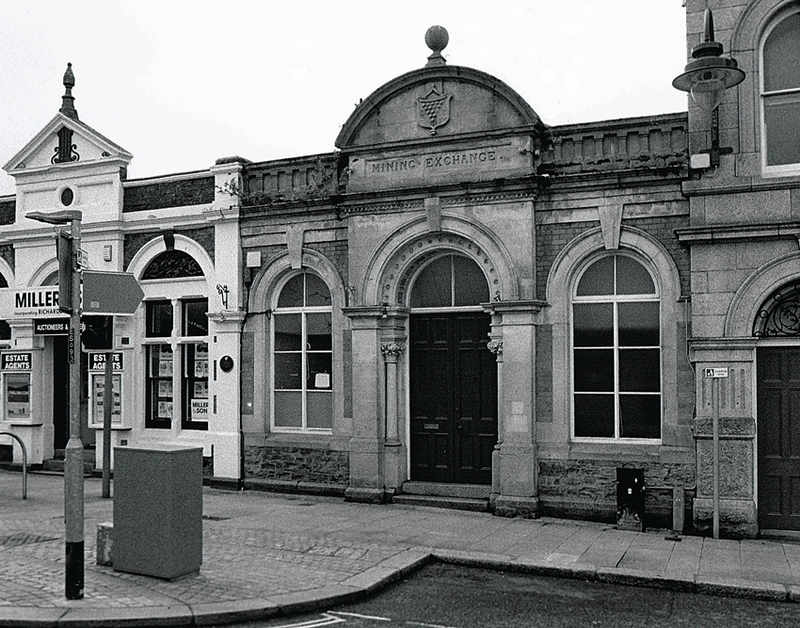 The old Reduth Fire Station built in 1913 it’s now a Grade 2 Listed Building, once again stunning architecture and stonework make the building so special. A closer look at the Fire Station Tower. 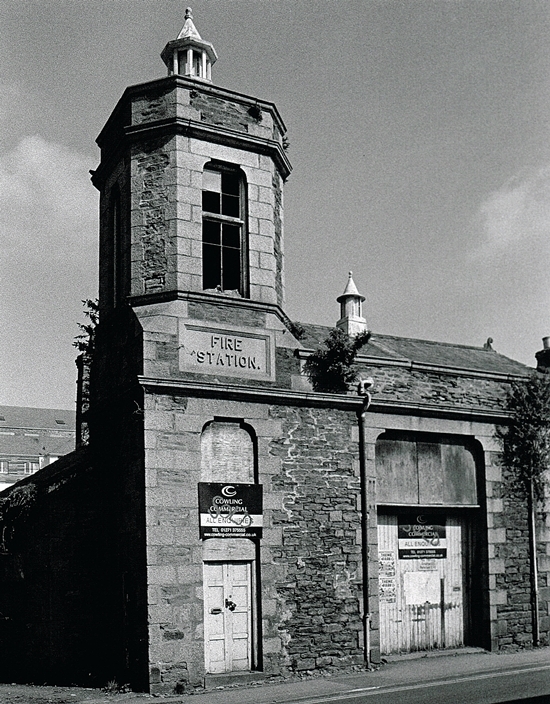 The fire station from a different angle with the Redruth Viaduct standing behind. 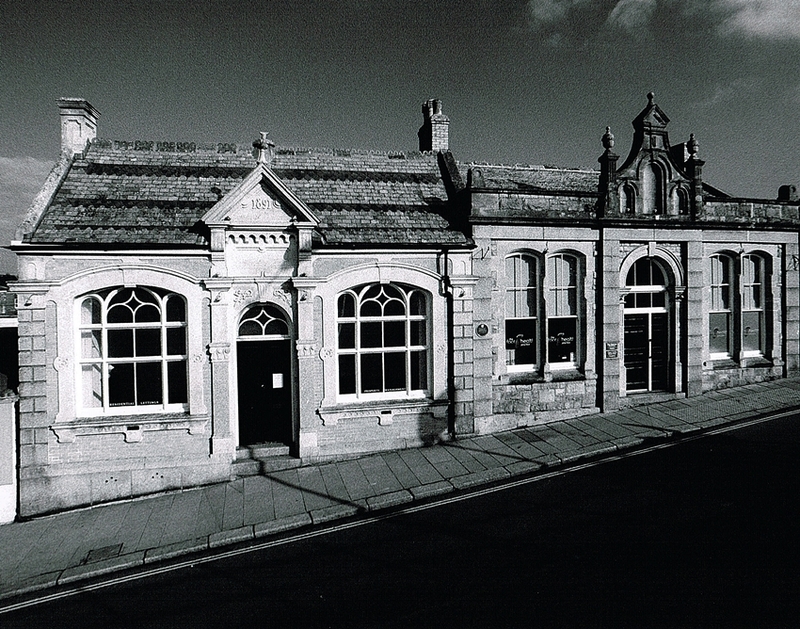 I believe there are plans to turn this wonderful old building into a museum/art gallery. 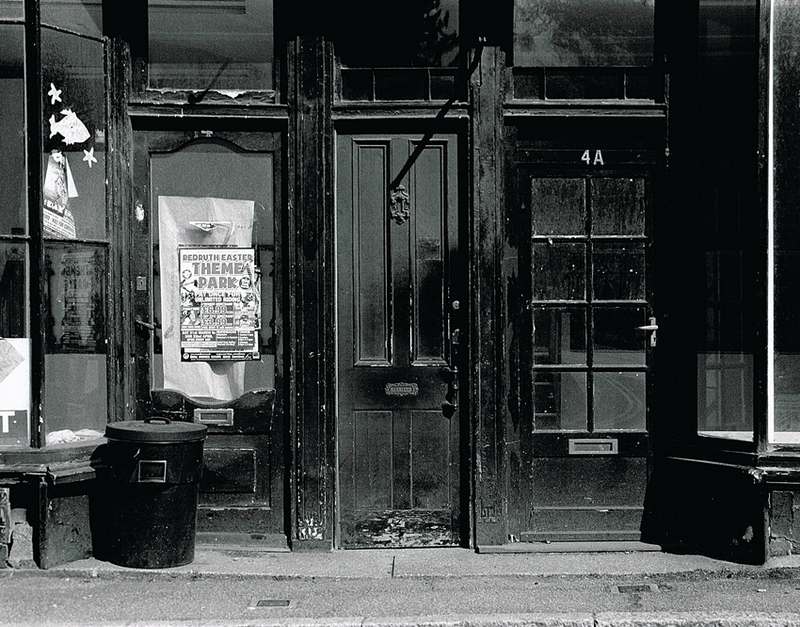 My favorite image of the day, this collection of doorways at the top of Cross Street. It works well in Black and White. 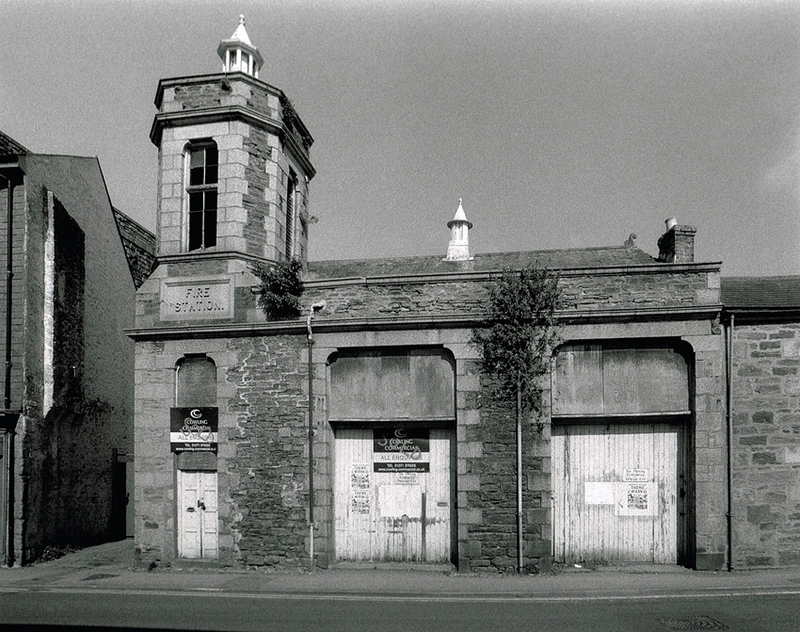 This amazing building is along Penryn Street, the brickwork is very impressive. Always remember to look up and appreciate the architecture. 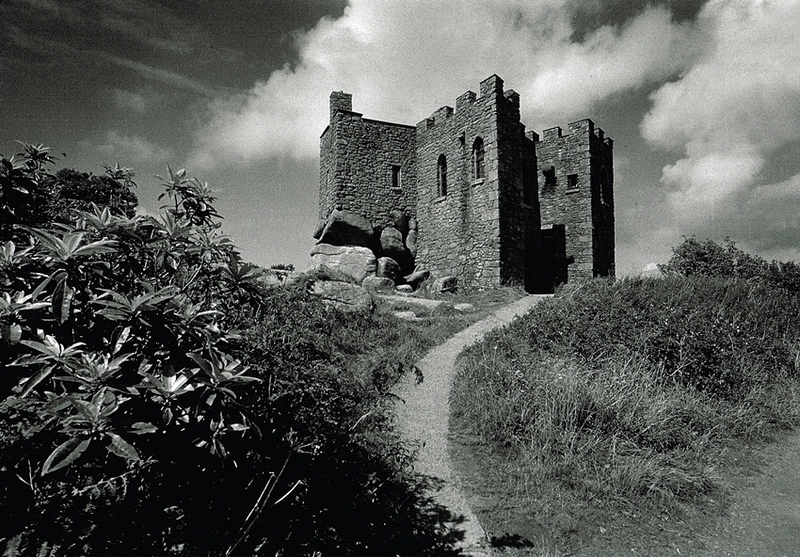 A second view of the “Castle”, this one shows how it has been built into the rock. 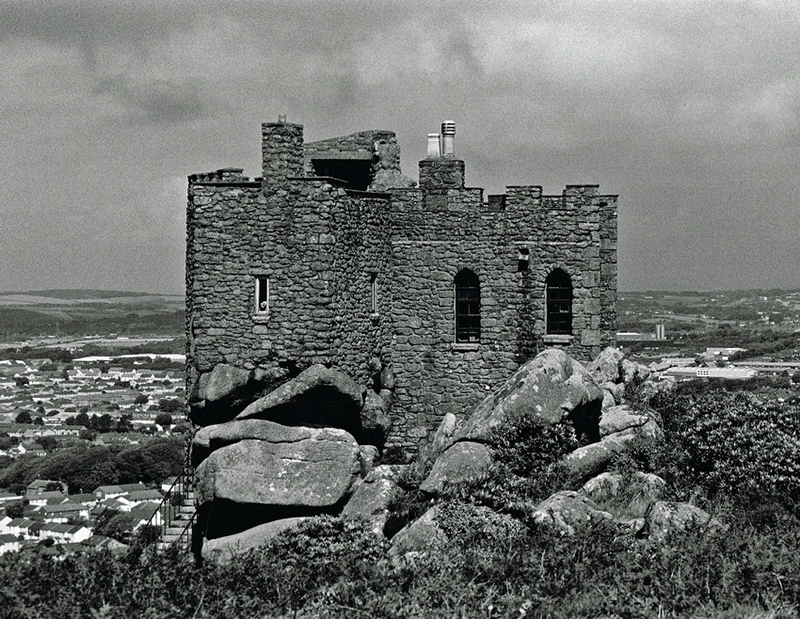 A final image of Carn Brea Castle. 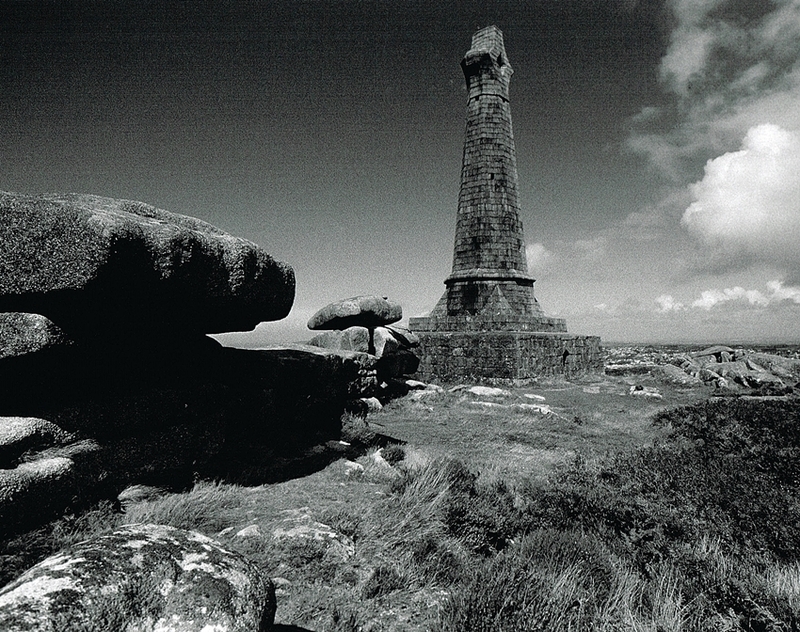 On top of Carn Brea is the Monument to Francis Basset, 1st Baron de Dunstanville and Basset (1757–1835). 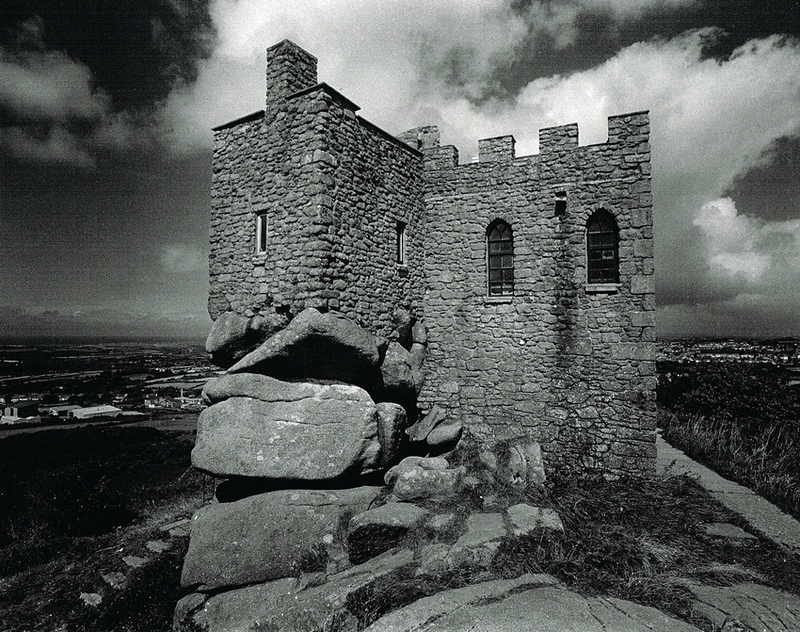 A second image of the Carn Brea Monument. 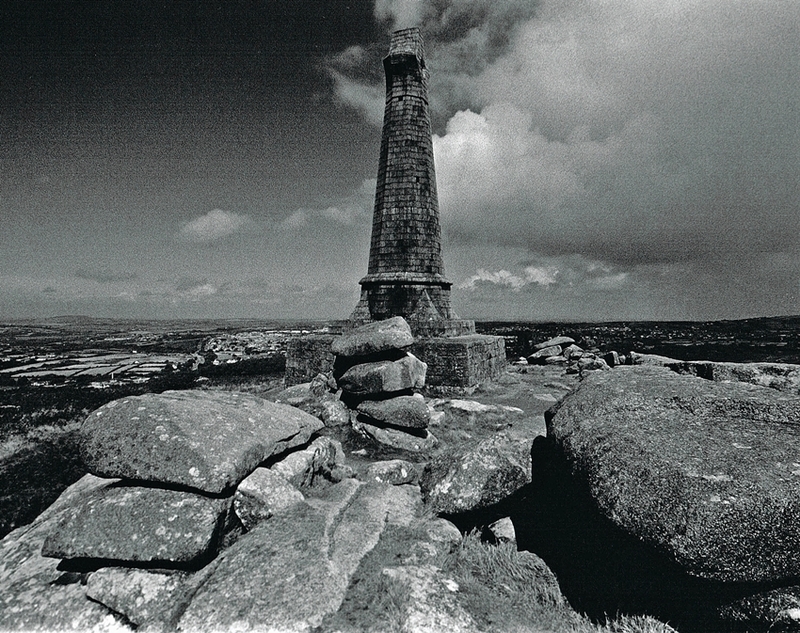 It was built in 1836 and is 90m high. 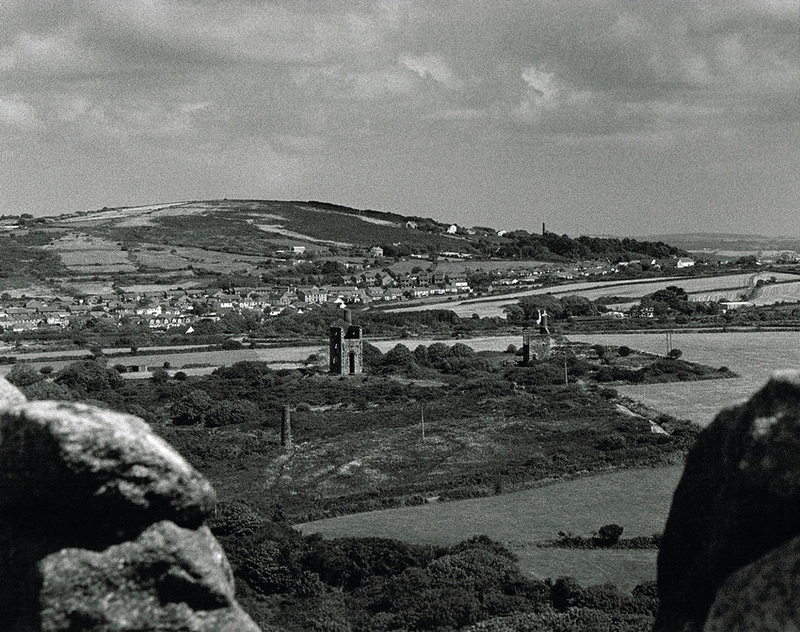 A view from the top of Carn Brea. In the centre of the image are the twin Engine Houses of Wheal Uny Mine. 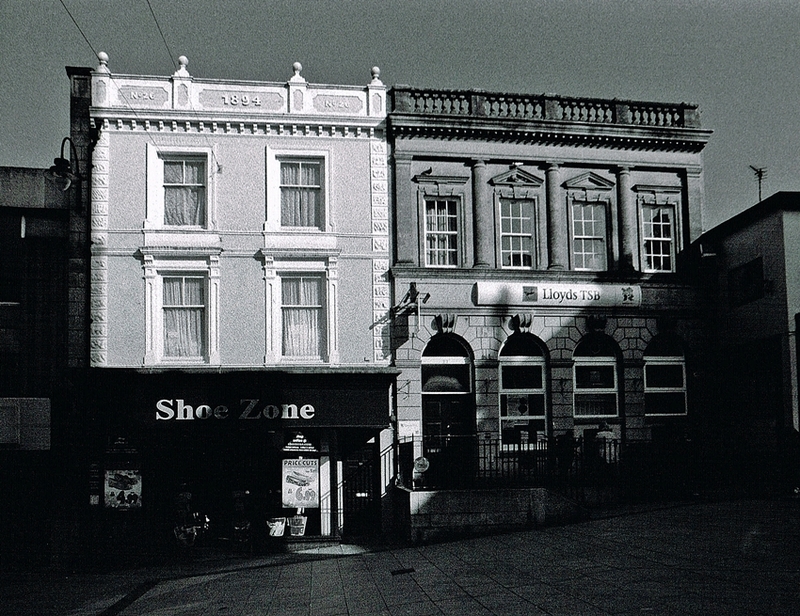 I had a great time trooping around Redruth and Camborne, however I was very happy to call it a day and head back for a pint and put down the camera bag.